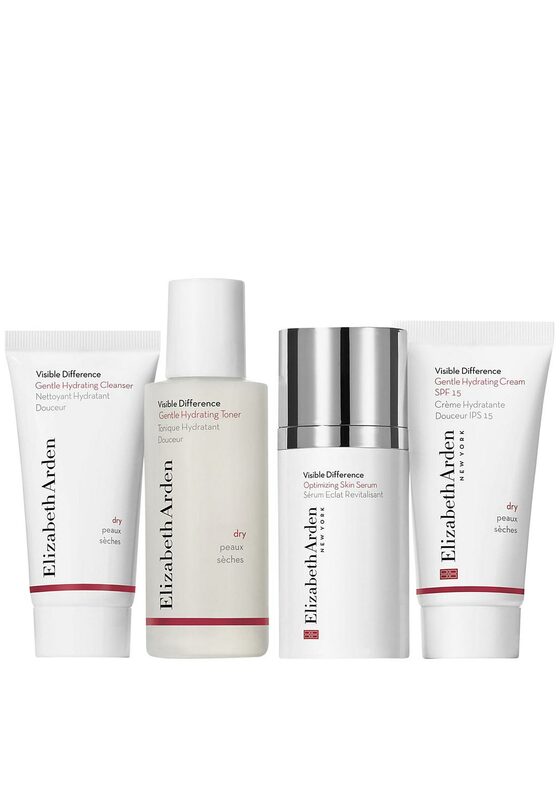 Elizabeth Arden present this visible difference gift set for dry skin containing four fantastic products. One 30ml gentle hydrating cleanser, one 50ml gentle hydrating toner, one 15ml optimizing skin serum and one 30ml gentle hydrating cream. This makes a great gift idea, all comes presented in one box.